With an Amazon Dash device on your kitchen counter, you just press a button to place an order. Items in their (very long) Dash list range from PLAY-DOH to Clorox to Kraft Mac & Cheese. While convenience might be the first word that comes to mind, so much more is happening. 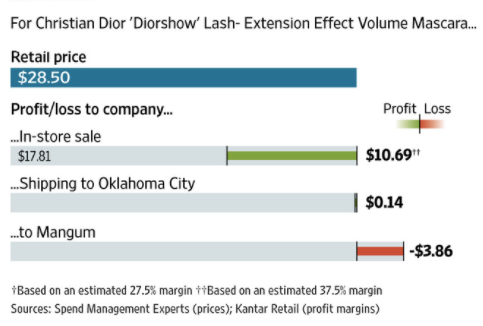 A rural town with 3,000 people, Mangum, Oklahoma has been hurt and helped by e-commerce. Downtown, stores are closing. Because products like baked beans are more expensive at the local supermarket, residents order them at Walmart.com and Amazon. Similarly, the gift business at the local flower shop is getting crowded out by “free” shipping. Meanwhile, FedEx and UPS say that Mangum’s delivery density is a nightmare. They just mean that the homes are far apart. Driving 50 miles to deliver a single container of Clorox is not cost effective. On the plus side, online sales can resuscitate rural retailers who have declining walk-in traffic. One Willow, Oklahoma clothing store owner says she mails 100 packages a week. And also, of course, now everyone from Mangum can shop at Macy’s and Victoria’s Secret and use their Amazon Dash button from their home. So, we have shoppers who pay less and get more variety. We have store owners who can expand their clientele far beyond their local communities. But we also have costly free shipping and increasingly desolate downtown shopping centers where small businesses are losing the online price battle. An economist would say that e-commerce has created positive and negative externalities in Mangum and beyond. 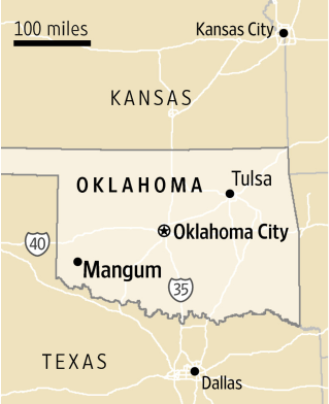 My sources and more: The story of Mangum, Oklahoma was in the Wall Street Journal while an Amazon Dash press release is here. 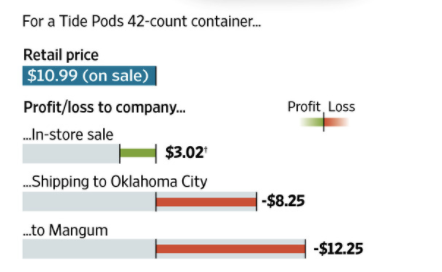 But if you want more of the e-commerce impact, I suggest WSJ articles on small retailers, the trucking industry and large retailers’ inventory levels, After publication, to improve clarity, I edited this post slightly.